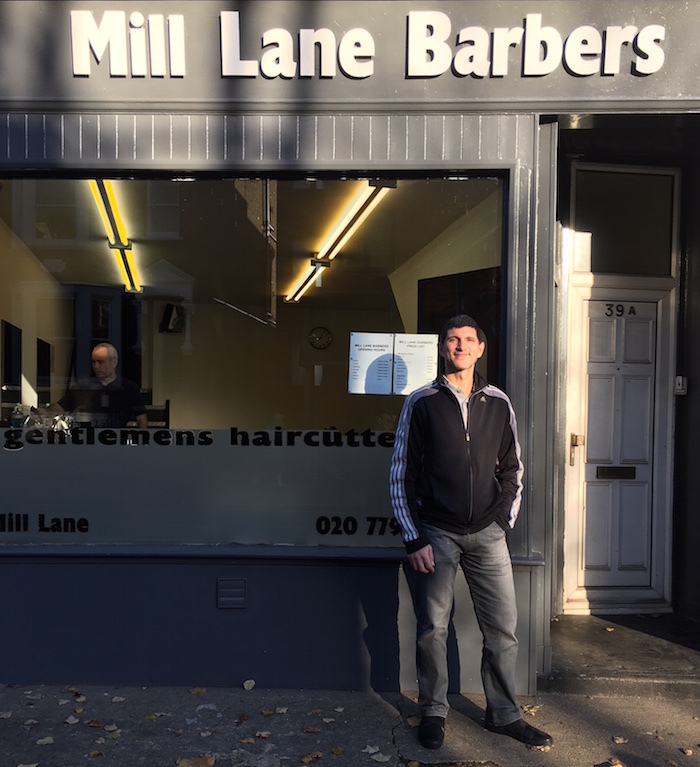 Among the ebb and flow of businesses on Mill Lane there are a couple of constants; Mill Lane Barbers is one of them. To get the view from the barber’s chair, WHL popped in to as Prod, the owner, was preparing for the day. Prod’s family is Greek-Cypriot by origin, although he was born and grew up in north London. His full name is Prodromos Prodromou, which sounds exotic to Anglo-Saxon ears, until you realise that the English equivilent would be John Johnson. Always a cheery welcome at the Mill Lane Barbers. Before setting up his own business Prod was a freelance barber. Fifteen years ago, yes it’s been that long since it first opened, Prod decided to open his own barbershop on Mill Lane. Over time he’s been joined in his team by Vas and George. “To be honest it was my wife, or more correctly at the time girlfriend. She was living in Brondesbury Park and we would come over here for dinner or a coffee. I just liked the feel of the area, it was a good, busy area. So when I was thinking of opening my own barbershop it was the obvious choice. I was (and still am) living in Finchley which was saturated with barbers. 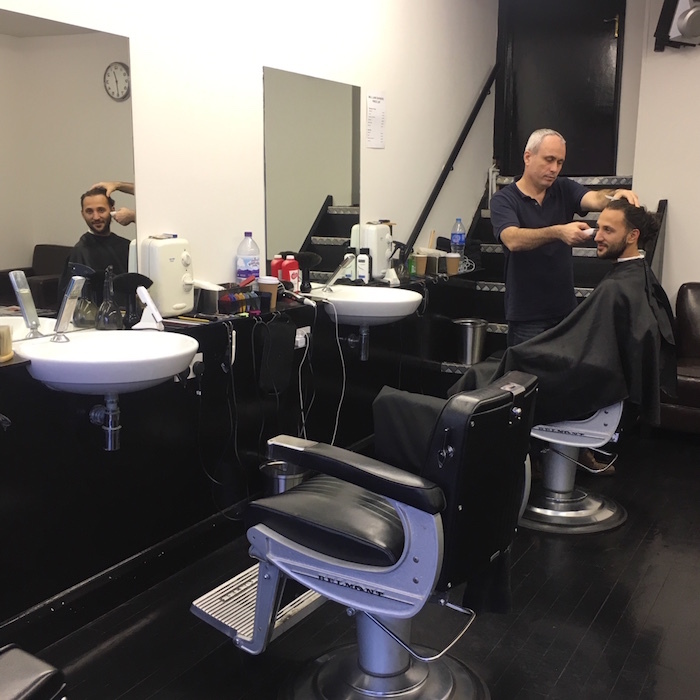 Here in West Hampstead, although there were quite a few hairdressers, there were fewer barbering options so I thought it would be good place to open up. What was your first memory of the area? “My first memories are what drew me here – that, even though West Hampstead is so close to the city, it had (and has) a strong local community where people know each other. What has surprise you the most about how West Hampstead has changed? “Many of the independents, the smaller more interesting businesses, have gone and the big boys have arrived. Describe West Hampstead in three words?